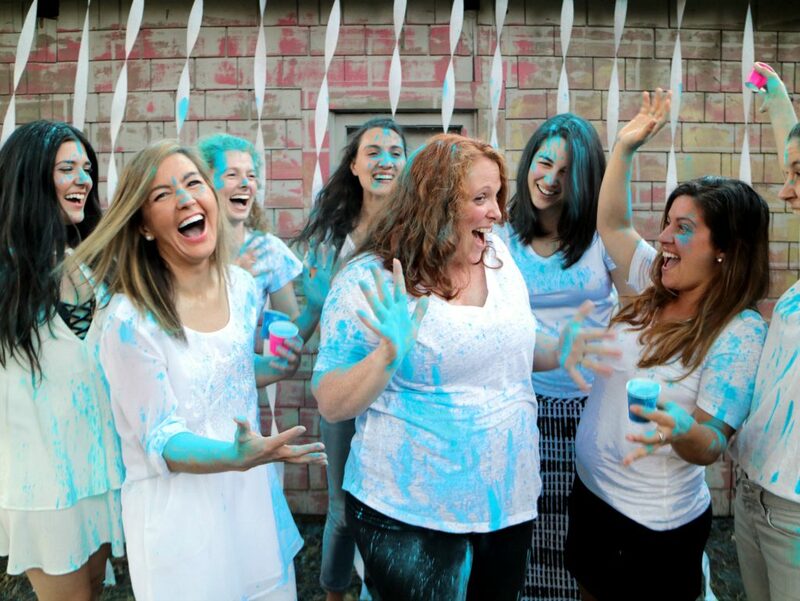 Mama-to-be, Anna invited her girl gang to share in a gender reveal party for her baby on the way. The benchmarks in her pregnancy had thus far been celebrated with all the amazing supportive women in her life. 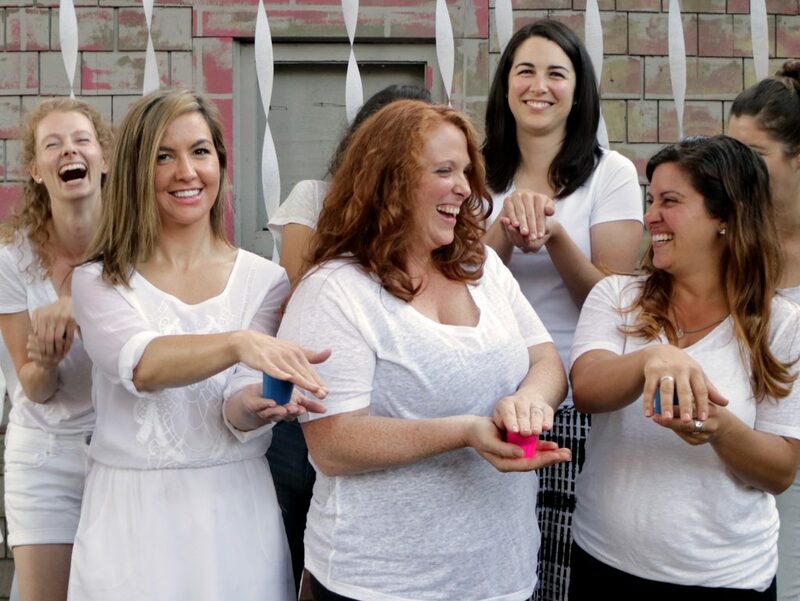 These rad ladies offered to throw her a baby shower, but Anna wanted something different. 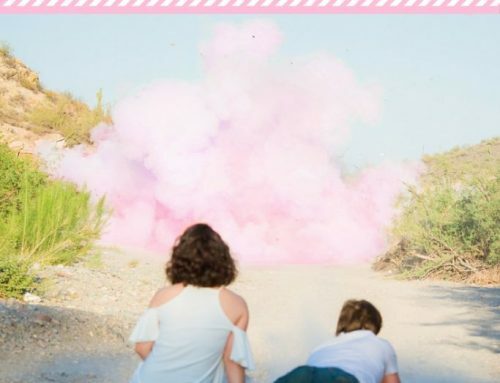 A gender reveal party seemed a far more exciting way to honor this news, and a color powder gender reveal was a great alternative to a hokey shower of goofy games and onesie decorating. Anna’s party was easy to organize, and a huge success. She managed to plan, host, and enjoy the event while still being surprised with her guests. Check out these few easy tips to successfully host your own! 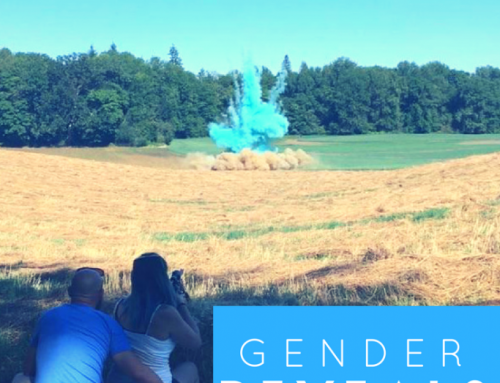 Please join me (and my bun in the oven) for a Gender Reveal Color Powder Party! Check out this link to see what you’re getting into! Bring a towel for your car to drive home wearing the color, or extra clothes to change into. 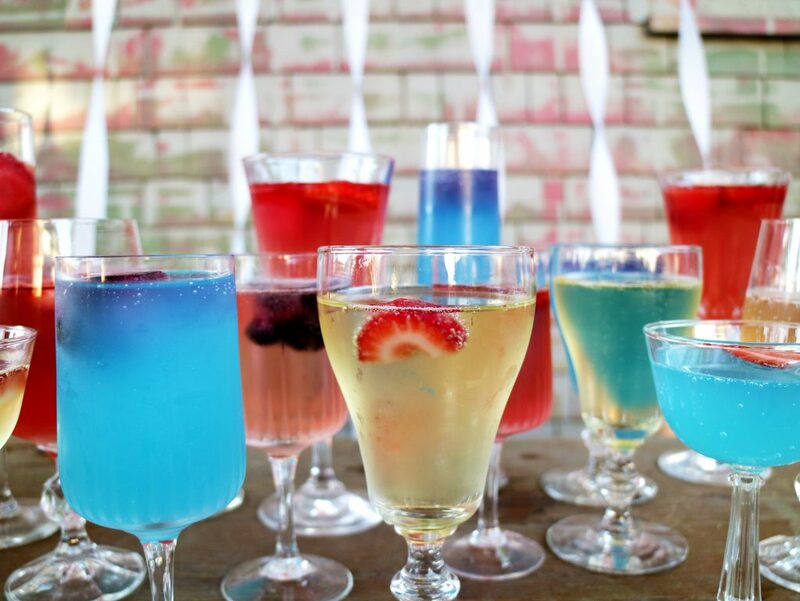 COCKTAILS AND MOCKTAILS: Anna stayed with the pink and blue theme and garnished everything with strawberries and blueberries frozen into icecubes. Boozy sips included sparkling rose and champagne, while mocktails were just Jones Berry Lemonade Soda served in a fancy glass! Its amazing how small details can make simple pleasures feel like luxuries. 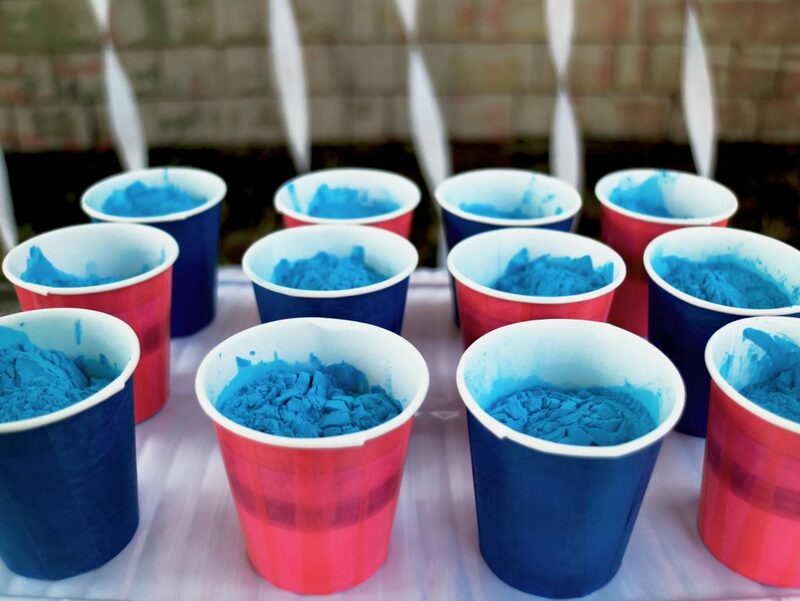 Anna’s small gathering only required about 20 blue color powder packets. 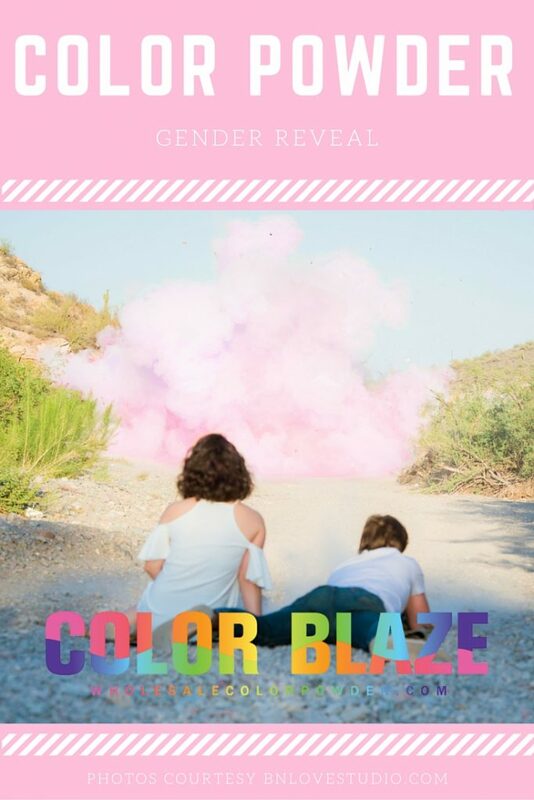 If you are having a larger gathering you might want to consider the gender reveal package which consists of two 5 pound bags of Color Blaze bulk color powder. Anna wanted to be surprised on the gender along with her guests so she asked her doctor to put the gender in a sealed envelope. She then asked her neighbor to order the powder for her and keep it a secret! Anna purchased small paper cups and decorated them using Washi tape in both pink and blue. It made for a simple craft (about 30 minutes to complete) that transformed the cup from something boring into to a charming detail for the big reveal! GOOD WEATHER: Color powder is awesome fun that should be kept outside. It is a great activity for in the yard and as easy to clean up as sidewalk chalk. So do your best to plan your event on a warm sunny day, because taking this party inside is not advised. 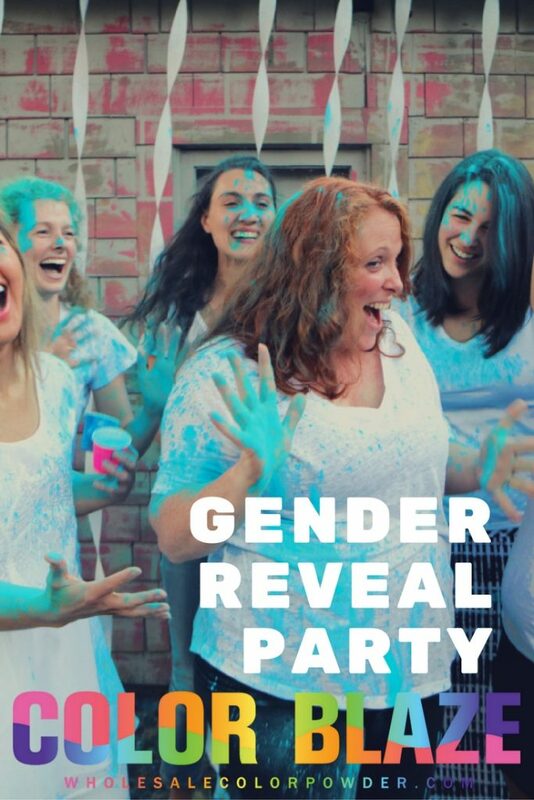 Anna invited her neighbor over to both document the fun and prepare the powder for the Gender Reveal Party. 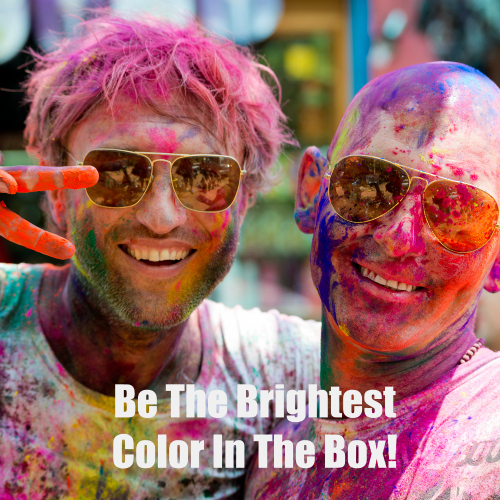 Her job was to open the box (while out of sight) and fill the cups with color. She wore plastic gloves and used a spoon to place the powder inside the cups to avoid any evidence of the color to be detected. 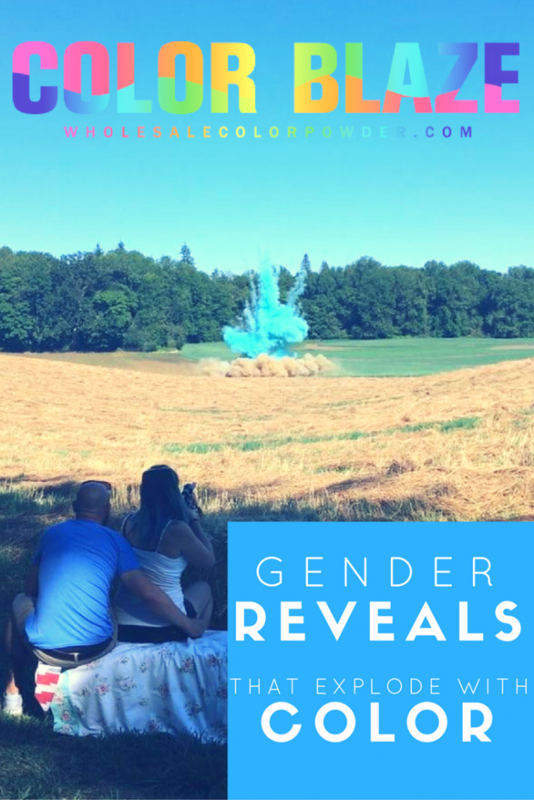 Gender Reveal Party prep was super simple and ensured that Anna was able to enjoy her celebration rather than busied by hosting duties! When the big moment arrived, everyone was asked to close their eyes while they were handed a cup of color powder. They placed one hand on top to hide the color and then all together they opened their eyes at the same time for a ‘before’ picture. 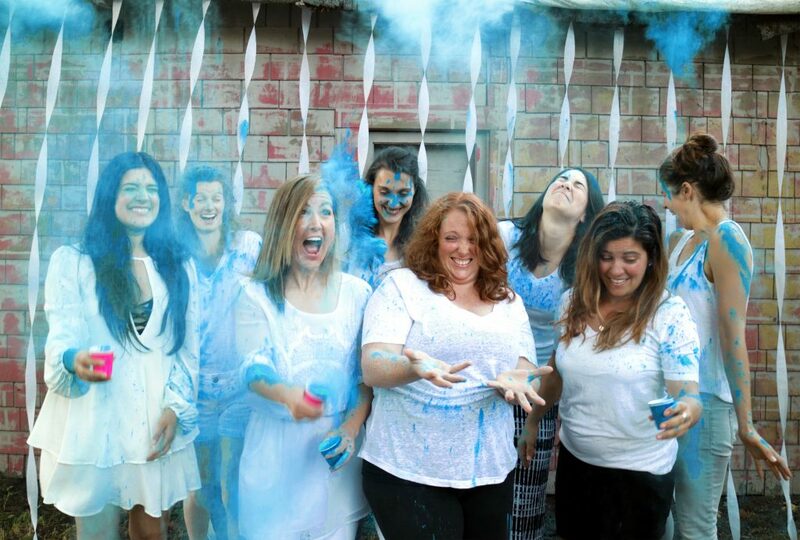 Then, on the count of three, everyone threw the color up at the same time and was showered by BLUE POWDER! It’s a boy! Congratulations Anna! Both on the news of your little boy and on your awesome gender reveal party! We are so excited for you! Thanks for sharing the fun with us!